A PhD in special education can lead to exciting job opportunities and leadership positions, and we want to help you get there. Our site provides users with a wealth of information pertaining to the procedures and requirements for doctoral programs in special education. Additionally, we help prospective students navigate the admissions process and through the difficult choice of selecting a school. Why else are we a good resource for you? We know a lot about education, specifically special education, and how to really succeed in this field. We work with accredited colleges and universities that offer the best options for students looking to earn their PhD either online or through a hybrid programs. We publish content that is relevant and useful to our target audience – that’s you! If you’re interested in earning your PhD online, our list of accredited colleges and universities offer many types of programs with various focuses and areas of concentration. Your options are practically limitless! Let us know if you have any questions or tips on how we can better serve you by sending an email to info_AT_phdinspecialeducation.com. You can also find us on Facebook! Sandi and Melissa Schwartz are a mother-daughter team, supporting educators and parents in understanding the inner world of children and what it is that they need from adults in order to thrive. Internationally acclaimed authors, coaches and public speakers, they bring new perspective based on current research and personal experience to transform the field of child development. 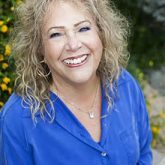 Sandi received her Master Degree from Columbia University and has worked with children and families for over forty years, bringing a wide range of wisdom to her roles as educator, college professor, and radio show host. 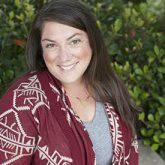 Melissa’s expertise is in helping parents and teachers make a shift in understanding children with high sensitivity and sensory processing disorder. Learn more about their work at www.LeadingEdgeParenting.com.